Tra Que village, 2km from Hoi An town, was a wonderful stopover for Bill Zou and Alexandra Pabon from New York. They had time to travel around the UNESCO-recog-nised heritage port city and taste its food. But they found the most fun was learning to cook Vietnamese food – and then eating it. Tra Que Water Wheel, in the middle of the popular Tra Que Village, was a cool option for the two Americans exploring Asian cooking and farming. Water Wheel hosts Vietnamese farm tours and cooking classes. "It was a very nice day when we explored Hoi An market and chose produce for the kitchen. Spring rolls with salad was the first dish we learned at Water Wheel," Bill said. "The guide prepared sliced papaya, carrot, squid, chilli and vinegar for a salad. It was a bit difficult squeezing the papaya, but I eventually finished the process and added herbs, pepper and chilli," he said. "Rolling rice paper needs skilful hands – and we slowly got going. It's an easy dish to make – and eat," Bill said. Nguyen Thi Hien, a guide, said the tour offered visitors a real experience with cooking skills and local lifestyles. 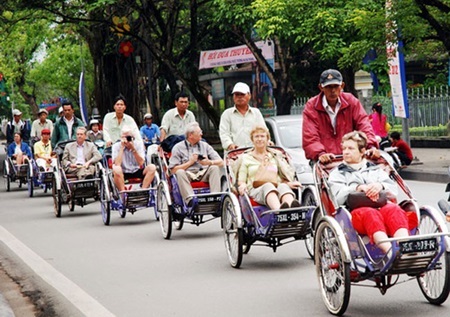 "Tourists are asked to visit Hoi An market by bicycle. 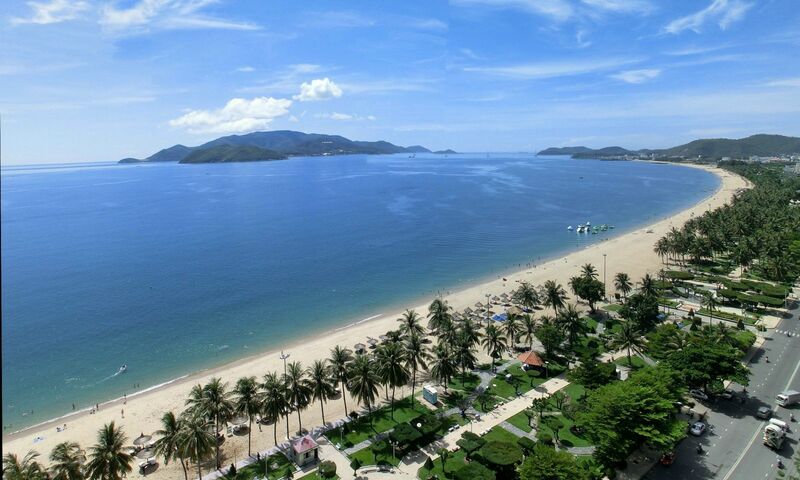 We guide tourists on what food to select and how to bargain with sellers," Hien said. "We offer different menus to tourists before they go to market. They can choose food for six dishes for their lunch at the Water Wheel," she said. She said vegetarian spring rolls and pancakes were the favourite dishes among foreigners at the restaurant. Duong Hien Hoang, owner of the Water Wheel restaurant, said the restaurant was based in a garden at Tra Que herb village. "Tourists can find a tranquil rural life with vegetable farming in the 500-year-history village," he added. "The symbol of the Water Wheel belongs to rice farming. They can be seen in remote areas in Viet Nam. 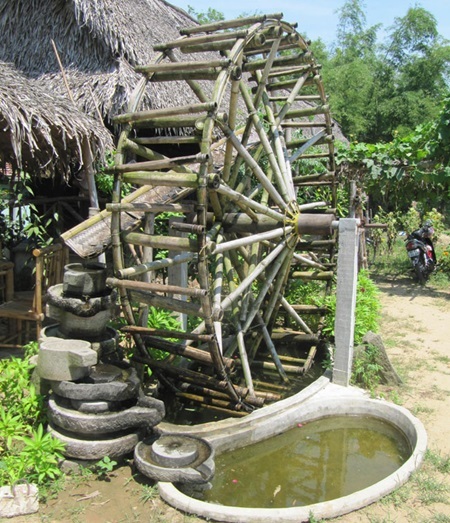 The bamboo wheel help direct water from mountains to paddy-fields," he said. He said the restaurant was built of bamboo and had a thatched roofs to cool it down on hot summer days. Jean Baptiste, a French tourist, said Tra Que village was the second stop for his family in Viet Nam after HCM City. His five-member family enjoyed making banh trang, a traditional Vietnamese dish made by using paper-thin wrappers made by steaming rice-flour liquid. When the liquid solidifies in the steam, the wrappers are then filled with the ingredients one desires, cut up and served with sauces. "It's very interesting when my kids joined in making the wrappers. The guide just instructed us once and we could do, but not as fast," Baptiste said. Family fun: Visitors are guided to make spring rolls from rice paper and grilled fish with banana leaves in Tra Que Village. "My kids have never had such a close experience with rural life. Anyway, they loved the taste of the food that they made themselves," he said. "It's a bit difficult to use a bamboo wand to pick up the steamed rice wrappers from the steam-pot, but the second and third tries were more successful. The dish is not fat because the rolls are filled with herbs and just a little oil. We love it so much," he added. Baptiste said rice wrappers could also be used to roll a mixture of salad and bean sprouts called banh cuon (steamed rolled-rice pancake). Bill Zou said papaya squid salad was a delicious and easy dish. "I try to do the dish once a day in New York. Tra Que is quite different to my city of skyscrapers and multitudes of cars," Bill said. "I also learned how to grill fish in banana leave on a charcoal stove. The guide instructed me to fan the coals with my hand, but to keep the fish out of the flames," she said. The tour manager, Hoang said there are different options for tourists at Water Wheel including farming skills and exploring the village by bicycle. Working model: A water wheel has been set up within the restaurant as a symbolic object of the venue.